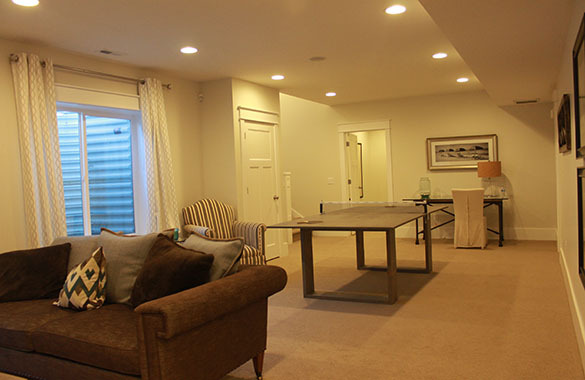 Whether you are building a new home or finishing an existing basement, ceiling height is an important consideration. This article looks at the advantages and disadvantages of both high and low ceilings. We’ll also explore the impact the height of your ceiling has on structural elements and design plans. The International Code Council established rules for minimum residential ceiling heights. For maximum resale value, you want to keep these rules in mind while choosing the height of your ceiling. Also check local codes. If you plan to use your basement for more than storage, the ceiling should be at least seven feet high. You will save time and labor in finishing rooms if you are able to make your ceiling just the right height to accommodate wall panels, which measure approximately 4 feet by 8 feet. Rooms with high ceilings have more wall space to insulate. Because cold air is heavier than warm air, the air near any room’s ceiling is warmer than the air near the floor. High ceilings waste warmth on cold days because the heat comes to rest above the level of the room’s occupants while floors stay cold. To remedy this, install air circulation units or ceiling fans that pull cold air up and push warm air down. Another option is to provide enough heat to eliminate all cold air pockets. The most energy efficient choice to implement low ceilings into your design plan. Chandeliers and other light fixtures that hang or project from the ceiling into the room work well with high ceilings. Low ceilings will likely require recessed lighting such as can lights. 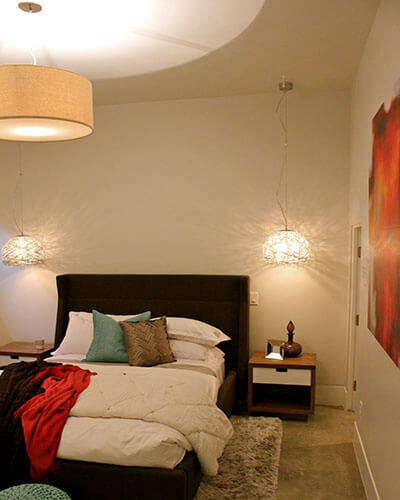 Other lighting options for rooms with low ceilings are various types of wall lights combined with table or floor lamps. One way to improve the lighting in any basement is by adding a basement egress window well. Adding a basement egress window well can be a great addition to any basement by adding style and natural lighting. Generally, high ceilings give a more spacious feel. Low ceilings create a sense of claustrophobia in some people and may seem oppressive. Other people like the feeling of coziness that low ceilings provide. Think about your home in terms of the future as well as the present. What ceiling height you choose makes a difference in initial costs, utility expenditures, and the overall atmosphere of each room. Talk with your family about what they would like to have, and check your budget. There are ways to make rooms with low ceilings seem larger, and drop ceilings can be installed if high ceilings become a problem. Choose what seems best at this time, and enjoy whatever you choose – the decision is yours.